The use of hazardous materials in industries, universities and medical facilities has seen an increase in growth and a growing concern among the safety community. First responders, safety officials and fire Marshalls face hazardous situations that sometimes can or could be avoided. The use of prefabricated chemical storage lockers, either standard sizes or customized to meet the needs of bulk chemical storage offer a safe and compliant solution for keeping people, property and environments safe. The NFPA 30 Flammable and Combustible Liquids Code, NFPA 400 Hazardous Material Code and the NFPA 1 Fire Code offer a better understanding for safe handling hazmat. Property setbacks, storage of flammable materials and spacing between chemical storage lockers must all be considered when housing hazardous materials inside a chemical storage locker. See table 66.12.5.2 for more information regarding these regulations. 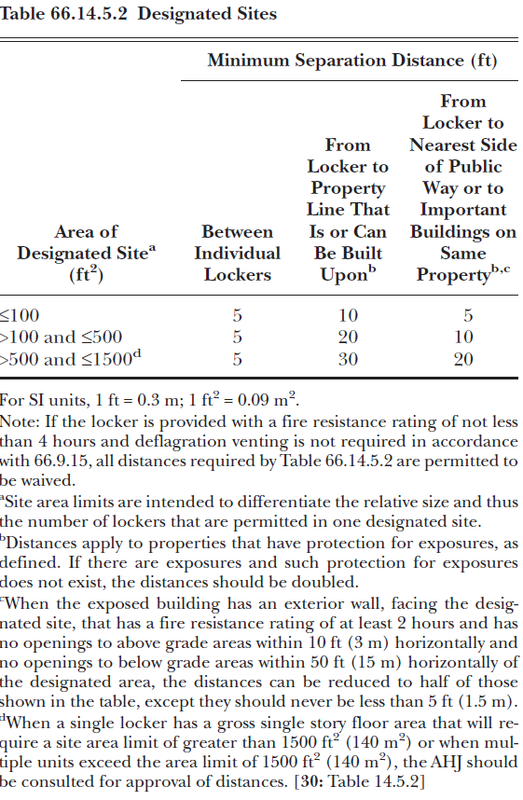 FM Approval requires a product design standard that chemical storage lockers must meet “Class 6049 Storage Buildings and Lockers”. 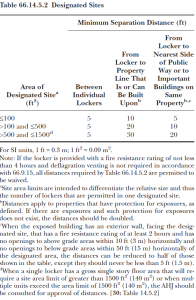 Standards which include roof, wall and flooring designs to show compliance ratings for non-fire rated and fire rated chemical storage lockers constructions. Once FM reviews the manufacturer’s design, structural integrity and the manufacturer meets all specifications outlined by FM including satisfactory fire tests, the chemical storage locker’s design then becomes FM Approved. This approval illustrates the lockers’ compliance to the International Building Code, NFPA Codes and EPA 40 CFR 264.175 for secondary spill containment. After approval FM then performs quality assurance audits at the manufactuer’s facility – this ensures to the public that the lockers manufactured for sale meet the same quality design as previously evaluated and approved. Hazardous materials vary greatly depending on industry and end user. Below are a list of hazardous materials that are commonly stored inside chemical storage lockers by US Chemical Storage. To ensure chemicals are safely stored and maintained, accessories must be implemented and installed correctly onto or inside chemical storage lockers. See below for a list of compliant safety accessories for chemical storage lockers. 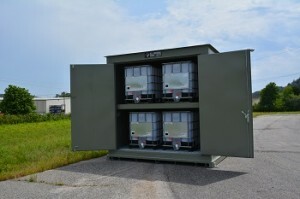 To receive a free chemical storage consultation call 1-800-233-1480 or contact US Chemical Storage online.